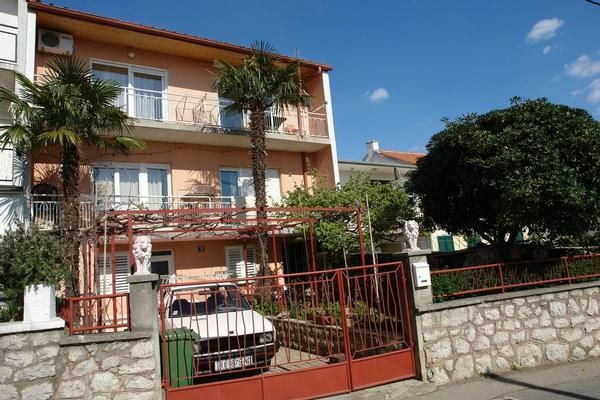 This beautiful apartment is located in Crikvenica not far from the beach and the center. It consists of kitchen with dining area (exit to the balcony 8m2 large). In this room is a sofa bed for 2 people to sleep. Next you go into the living room where is a sofa bed for 2 persons is (with exit to the balcony 6 m2 of sea view has). Air conditioning, Internet and parking are available. Washing machine in apartment: per object and per day included in the price (compulsory).